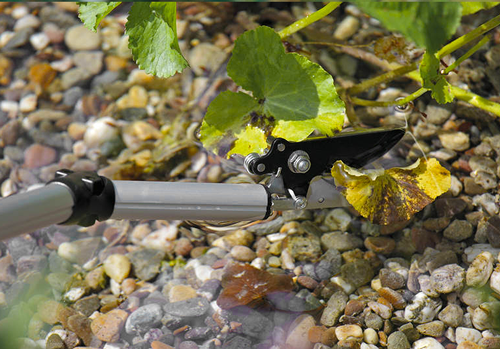 Keep your pond in tip-top condition with our range of pond maintenance tools. Cover Nets, Scoop Nets, Winter Heaters and Heron Deterrents. Tools for all aspects of pond maintenance, including pond scissors, pond pliers, pond waders, pond thermometers, small and large pond nets, fish nets and algae nets, pond cover nets and complete pond maintenance sets. We also offer a range of pond pest deterrents to ward off predators such as heron, which can decimate a fish stocked pond.